Taxila valley, which lies just beyond the Margalla Hills bordering Islamabad, is a picturesque, rural place with sleepy villages nestled below its green hills. Located less than an hour’s drive from Islamabad, the area is famous for Khanpur Dam and a series of archaeological remains which were declared as world heritage sites by United Nations Educational, Scientific and Cultural Organisation (UNESCO) back in 1980. 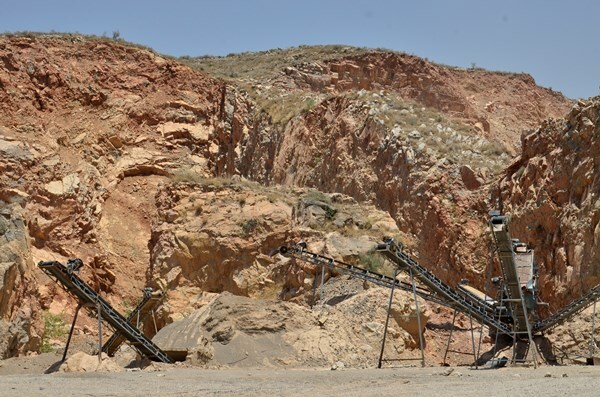 Ideally, Taxila should be preserved as a tourist destination steeped in history, but over the years, stone crushers (a machine used to break down large rocks into smaller rocks, gravel or rock dust) have been steadily eating into its verdant landscape. 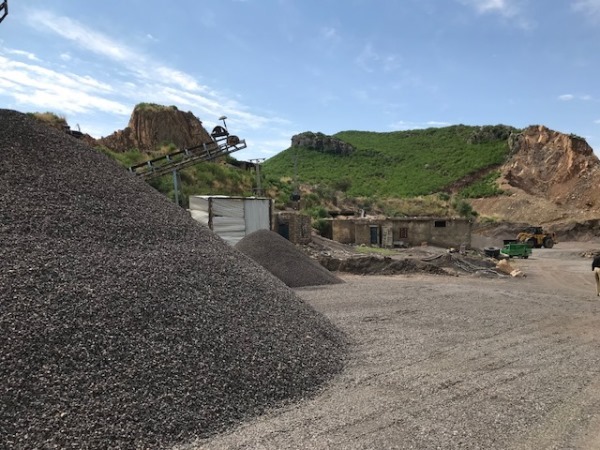 The high quality limestone rocks of these hills, a part of the Margalla range, are crushed into gravel to mix in concrete and are widely used in the construction of roads. On a recent journalists’ trip to Taxila, which was organised by the Heinrich Boll Foundation, we set off from Islamabad to see for ourselves the havoc wrought by the stone crushers of Taxila. Once we entered Taxila from main GT Road, we did not have to go far before we witnessed the horrific sight. Several of the hills we passed looked like they were being attacked by termites – large, dusty cavities had appeared at the foot of these green hills. 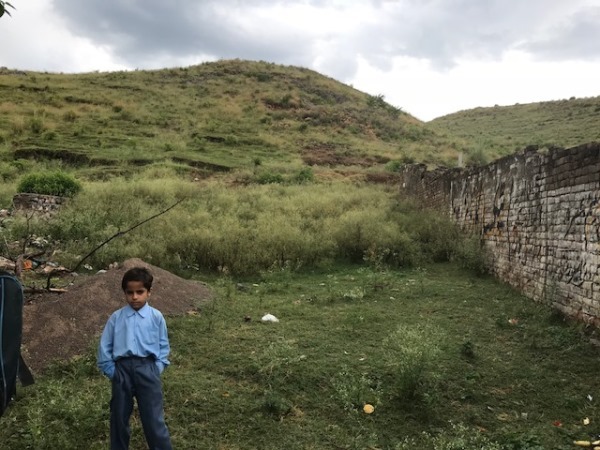 Upon reaching Peeranwala village near Khanpur Lake, we stopped at a government high school for girls which had been badly affected by the mining process of blasting, wherein controlled explosives are used to break rocks. They were blasting limestone on the hill adjacent to the school. The principal told us how the entire building would shake as if an earthquake had occurred and stones from blasting would fly into school grounds. After the villagers complained to the district commissioner in Haripur, the quarry operators changed the timings to after school hours. The quarrying site near Peeranwala. The villagers complain that aside from the cracks in their homes, there is a permanent haze of dust in the air that is causing allergies and asthma. They say authorities just turn a blind eye, as the people in the stone crushing business make a lot of money. 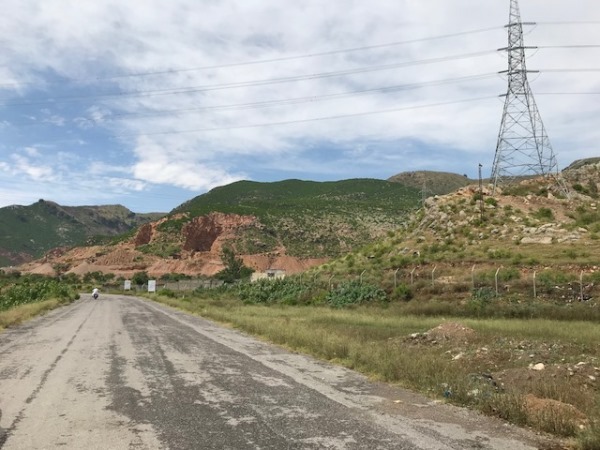 However, the confusion still remains as to whether quarrying (extracting stones from a quarry) in this area is illegal or not as Khanpur lies in Khyber Pakhtunkwa (K-P) where the Supreme Court slapped a complete ban on unlicensed mining in January 2018. Stones from the blasting behind this hill fall into schools and people’s homes. After visiting the school, we headed to the quarry that was located just up the road to check if they had the required license. However, we found the quarry to be abandoned, with not a worker in sight. “They heard of your visit and all of them have run away to hide,” the local villagers who accompanied us to the quarry informed us. The large machines were lying idle and the temporary offices appeared to be locked. There were, however, large heaps of fresh gravel near the machines, indicating that stone crushing was clearly still taking place. A large heap of gravel waiting to be taken to the cement plant. When I later spoke to the director general of the Environment Protection Agency, Dr Muhammed Bashir, he informed me that mining is allowed in this area as long as they have proper licenses. 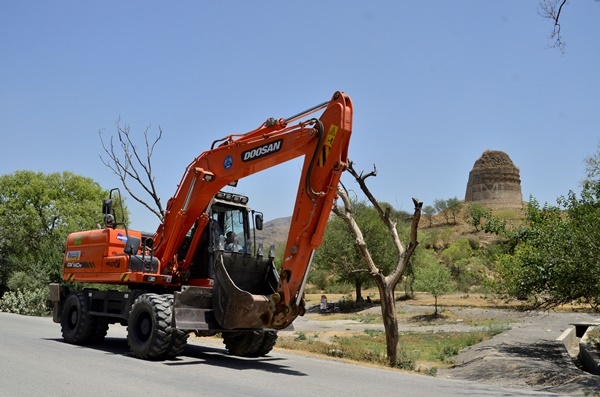 However, he agreed that crushing machines and mining are not allowed within 100 meters of populated areas. With its high wooden ceilings and glass cabinets full of artefacts, the museum has been well preserved over the years. It was founded by British archaeologist Sir John Marshall, who spent some 20 years excavating at Taxila. 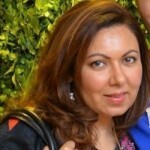 Naz says the main threats to Taxila are from humans. The archaeological remains are all protected antiquity in terms of the Antiquities Act 1975, passed by the Parliament of Pakistan. Entire hillsides are being eaten up because of the quarrying and stone crushing. The mining and quarrying problem actually extends to the entire limestone-rich Margalla Hills which lies in the jurisdiction of the federal capital and both the Punjab and K-P governments. 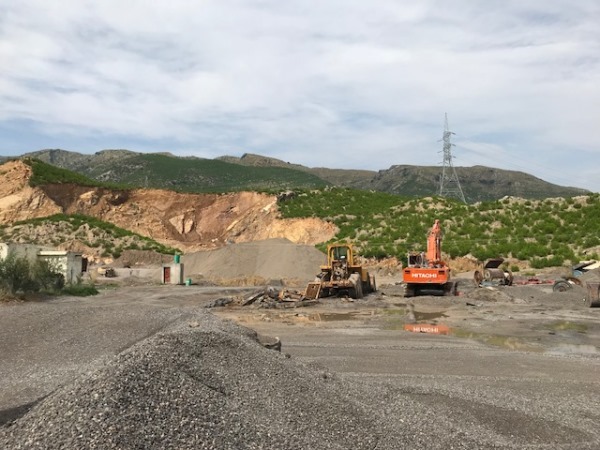 Today, quarrying has been halted around the Margalla Hills National Park in Islamabad, but it is mostly carried out on the western side of Margalla Hills in the Taxila tehsil of Punjab. 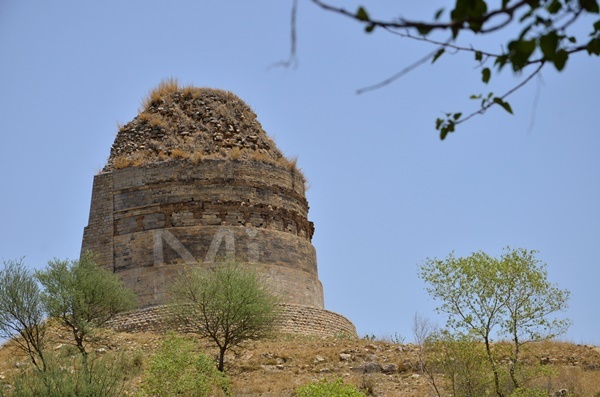 Bhallar Stupa located on a hilltop in Taxila is one such site. I was shocked to see mining and crushing being carried out right behind this designated world heritage site. Mining exposes the soil surface and thereby enhances the chances of land erosion. The ancient Bhallar Stupa dates back from fifth century BC to second century AD, when this area was an important Buddhist centre for learning called the Gandhara civilisation. There are no caretakers or any fencing present. In fact, it is not fully round and looks like it was cut in half. It was damaged by the British who must have been searching for relics that are often buried inside a Stupa. Today, however, its main threat comes from the nearby stone quarry, which is cutting into the hill behind it. From the main road, I could see the dust rising from trucks that are constantly taking crushed stones from the quarry to the large cement factory nearby. The quarrying going on behind the Stupa. Tractor crane going by the Stupa, which lies near a cement plant. The quarrying being done in Taxila is clearly threatening its unique archaeology and special ecology and should be stopped at any cost. Surely there are other limestone-rich sites in Pakistan that can provide for cement plants. The mining and crushing of Margalla Hills should be phased out before another decade goes by and the landscape is irreversibly damaged. What author will not tell you is: that thousands of labor is working to earn bread and butter for their children and family in these mountains, crores of rupees are gathered in the light of excise duties, lease bids and royalties. The road on which author traveled to gather this -ve data of the site is made with the help of these aggregates made by crush owners. All the mega projects like Metro and Industries and CPEC are been fed by these crush aggregates. The 3000Km road of CPEC is made by using this crush obtained after burning mid night oil in these mountains. All your FWO , Bestway Descon NESPAK and bundle of other companies budge their projects after and confirm availability of aggregates earlier. Ashoka was also here and he was not a good man. So what about that?